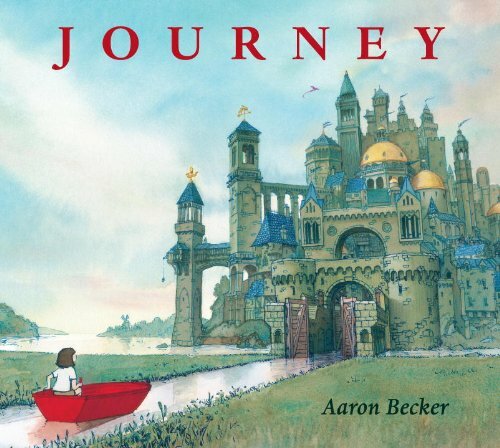 Aaron Becker's debut picture book Journey is, as the New York Times says, without a doubt, a "masterwork." 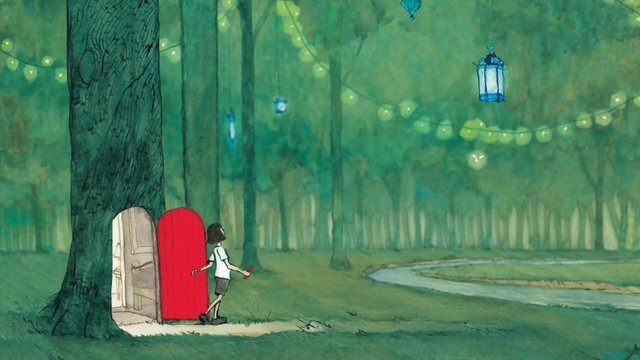 Becker's book evokes the amazing wordless, circular picture books of Barbara Lehman, author of The Secret Box and adds a whole new layer to the genre. There is definitely room for more books like this on the shelf and I can't wait to see what Becker does next. Until then, I will happily read Journey over and over, finding a new journey of my own to take every time. Becker has spent much of his career working as an artist for films, and perhaps this accounts for the scope and imagination that he brings to his illustrations and sense of storytelling in Journey. The premise is magically simple - alone and lonely, a girl draws herself into a new world with a red crayon she discovers on the floor of her room. Her adventure is epic and the places she visits a wonderful blend of the real and imagined, like the city in the illustration below, a fantastic cross between an M.C. Escher drawing and the canals of Venice. In her journey, the girl finds a purpose, makes a rescue and returns home to, best of all, find a new friend. I don't want to give too much away here, but after your first read of Journey, be sure to go back to the beginning and look more closely at the illustrations and the story they are telling. Magical and memorable, buy this book for your own children then another copy to give as a gift!